The first apps could debut next month. "It's evolve or die." A Jantzen Beach sports bar called Bradley's did more video lottery business last year than any of the nearly 4,000 other lottery retailers in the state. Bradley's took in $1.96 million in 2017. That means a video lottery player pushed a $20 bill into one of Bradley's machines every four minutes every day of the year. But the Oregon Lottery looks at Bradley's success and sees trouble: an old-school tavern unlikely to attract young Oregonians glued to their phone screens. "We've got to keep pace with what people want," says lottery spokesman Matt Shelby. "It's evolve or die for us." 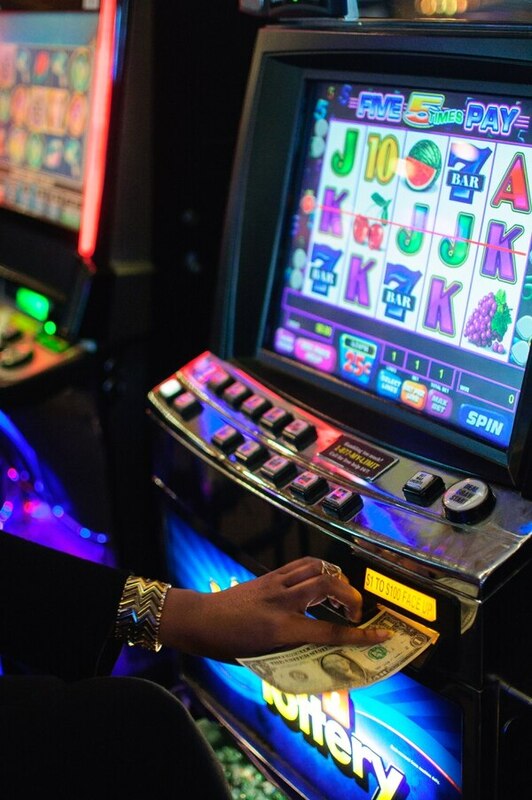 Records show that in response, the lottery is aggressively pursuing two new initiatives that could change the face of gambling in Oregon, dramatically expanding both the games gamblers can play and the way they can play them. "They are moving pretty quickly," says Justin Martin, a lobbyist for the Confederated Tribes of Grand Ronde, whose Spirit Mountain Casino is the state's largest gambling facility. Oregon wants to jump into sports betting, an opportunity cleared by a recent U.S. Supreme Court decision and one that could connect the agency to a younger demographic. And, records show, the lottery wants for the first time to open up gambling on mobile devices, which could massively expand the accessibility and audience of state-sponsored games. The first app could debut as soon as July. The policy implications are significant. In a state that is already one of the most dependent on gambling revenue in the country, the lottery is moving toward the biggest expansion of gambling since the agency added video "line games" or slot machines in 2005. Beyond the potential for making betting much more available to Oregonians—including gambling addicts—the move toward promoting gambling on mobile devices is a threat to the state's nine tribal casinos, and to bars and restaurants such as Bradley's that depend on lottery commissions. Shelby says the lottery will proceed carefully. "We want to expand in a way that makes sense and doesn't hurt what we're already doing," he says. Whether you love video poker or despise gambling, if you're an Oregonian, you benefit from the Oregon Lottery. The lottery is the state's second-largest source of revenue after personal income taxes, providing more than $650 million a year to state coffers. But the lottery has a problem: Its customer base is aging. 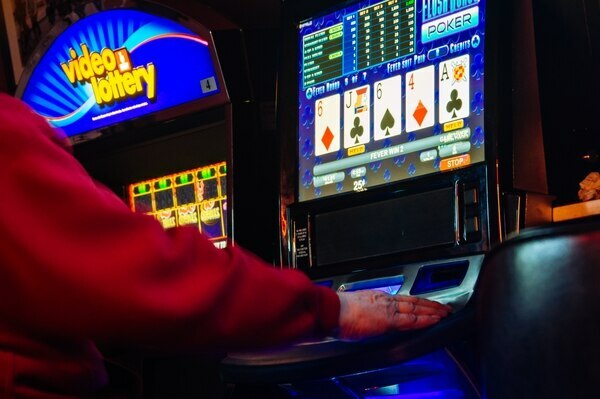 The agency's most recent audit shows that from 2008 to 2016, the share of customers in the 35-to-54 age bracket dropped sharply, while the share of gamblers 65 or older nearly doubled, to 21.5 percent. "It's no secret we've got an aging demo," Shelby says, "and when you ask younger people what they want, it's a lot different than hanging out and playing video lottery." Figures show that when Oregon banned indoor smoking in 2008, lottery revenues plunged and still haven't fully recovered. Lottery revenues now face threats from the new casino Ilani in Washington—and an expected blizzard of new gambling offerings in other states. The changing landscape comes as Oregon lawmakers are struggling for new sources of revenue. The 2016 failure of Measure 97, a statewide gross receipts tax, sent a message to state policymakers: They'd need to get more blood from the same stone. "Having an electronic gaming platform would mark a significant shift from what they've done in the past," says Will Rasmussen, a lawyer at Miller Nash who represents clients in the gambling industry. In January, in anticipation of the legalization of sports betting, staff sought permission from the Oregon Lottery Commission to move toward mobile and sports betting. "A portion of the Oregon gaming market is not attracted to the games in our current portfolio," wrote the lottery's chief gaming officer, Farshad Allahdadi. "Game attributes that we are missing include social, competitive, and mobile/cashless convenience." He urged the commission to approve the shift toward mobile and sports betting, where "significant revenues are expected." The commission greenlighted the idea. Shelby says the agency will offer its first phone app next month. Initially, players will be able to check their lottery numbers and track jackpots. In phase two, Shelby says, they will be able to play virtual sports games—although there's not yet a hard timetable for such offerings. 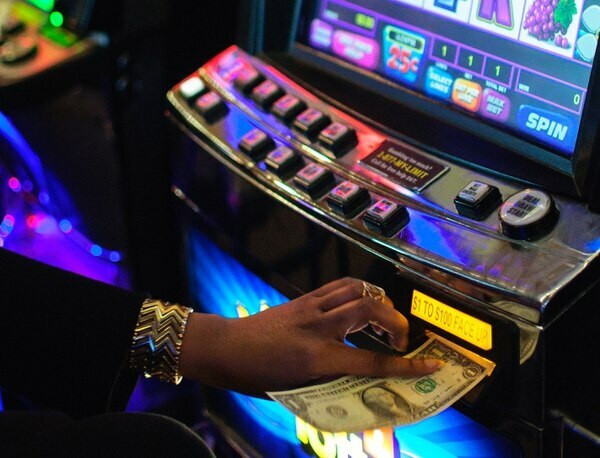 The pursuit of mobile gambling could threaten the nearly 4,000 Oregon bars and restaurants that offer video lottery, which accounts for about three-quarters of lottery revenue. Those retailers earn huge commissions—26 percent of the money patrons put into video lottery machines, amounting to $240 million last year. In April, lottery officials engaged in a rule-making process that would clear the way for gambling on phones and tablets. They did so without much public input. A lawyer who represents lottery retailers squawked. 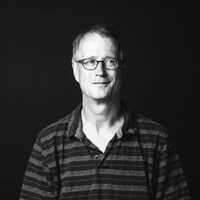 "The concern among video lottery retailers is that the 'video lottery games' platform will be diluted or diminished," Michael Mills, an attorney for the Oregon Restaurant & Lodging Association wrote in an April 18 letter to lottery officials. But officials think sports and virtual sports enthusiasts are different from the people who play video poker or slots. "We aren't going to cannibalize that current revenue stream," Shelby says. "We want to add new players and make it easier for existing players to play." One new avenue? Sports betting. On May 14, the U.S. Supreme Court struck down a prohibition on sports betting in most states, opening up an industry experts say could be as large as $150 billion annually. Delaware has already begun taking sports bets. Just three days after the court announced its decision, Oregon Lottery director Barry Pack submitted a formal request to begin moving toward sports betting. "Lottery's strategic plan contemplates some form of sports betting…to increase revenues/transfers to the state," Pack wrote on a May 17 proposal to the lottery commission. "Will likely have major technology/mobile component." Gov. Kate Brown is on board for both. "Governor Brown is open to exploring sports betting as part of the Oregon State Lottery portfolio, particularly in ways that partner with Oregon's Tribes," says Brown's spokeswoman Kate Kondayen. 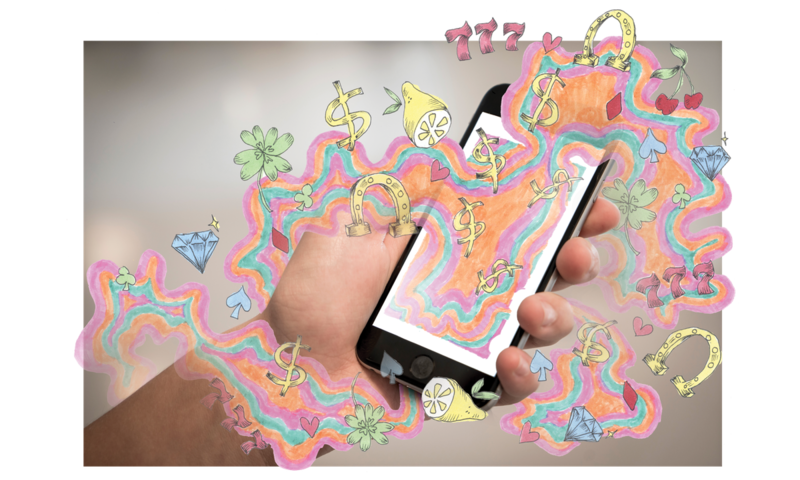 "The future of commerce is through mobile platforms, and the lottery needs to stay relevant in that world." Pack's legislative team is already working on proposals for the 2019 legislative session. Bill Perry, the longtime lobbyist for the ORLA, predicts policymakers are too dependent on gambling dollars to say no. "Any lawmaker who's critical of the lottery still spends every penny," Perry says. "What they and the governor always end up saying is, 'We love this revenue source and we need to increase it.'"